Sized perfectly for toddler's hands, Tailgate Trio - Emergency car set brings kid favorite rescue vehicles to play and learn. 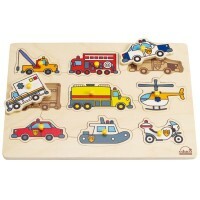 Emergency vehicles to the rescue! 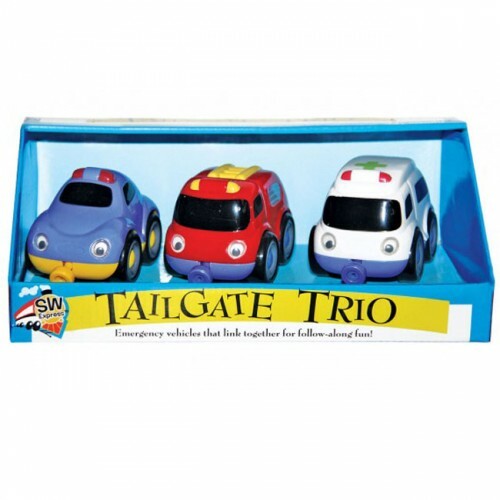 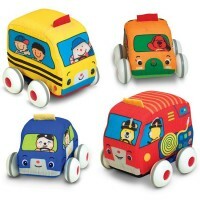 Rescue Vehicles Tailgate Trio Playset by Small World Toys is a cool car toy sure to engage your little toddler. 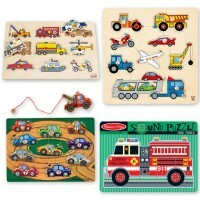 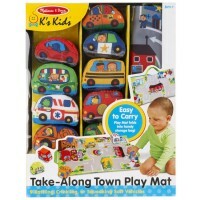 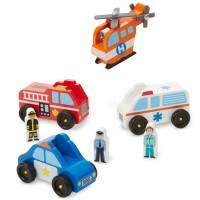 The play vehicles trio from Educational Toys Planet features 3 mini rescue character vehicles a fire truck, a police car, and an ambulance. 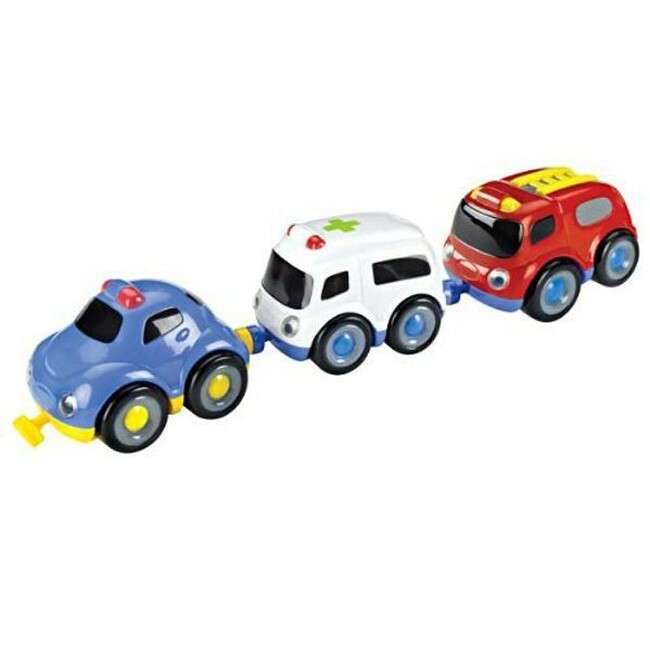 All 3 emergency vehicles are chunky plastic cars that are sized right for small hands. 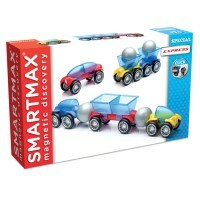 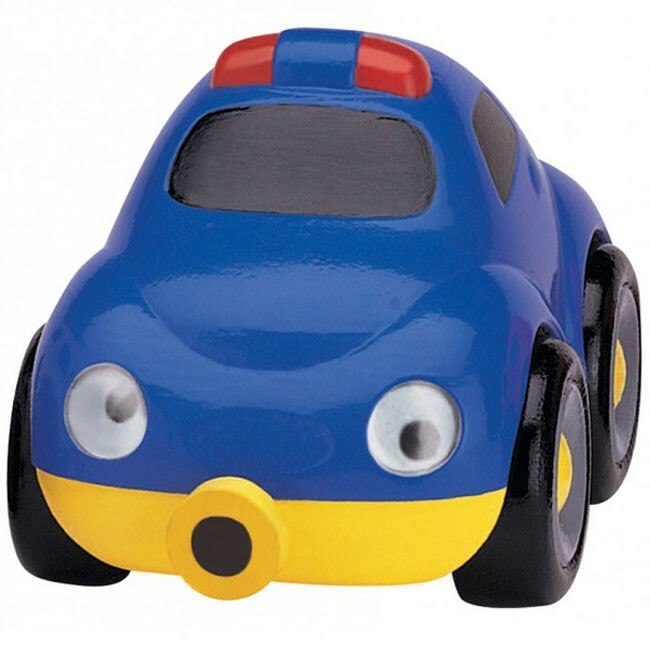 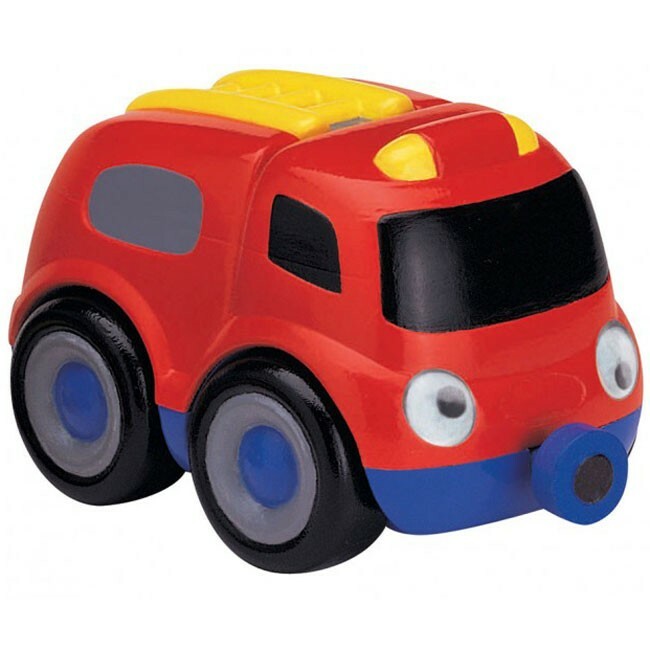 Each toy emergency vehicle features real axles and wheels to roll the cars on any smooth surface, and magnetic connectors at the front and back to link the vehicle together for follow-along ride. 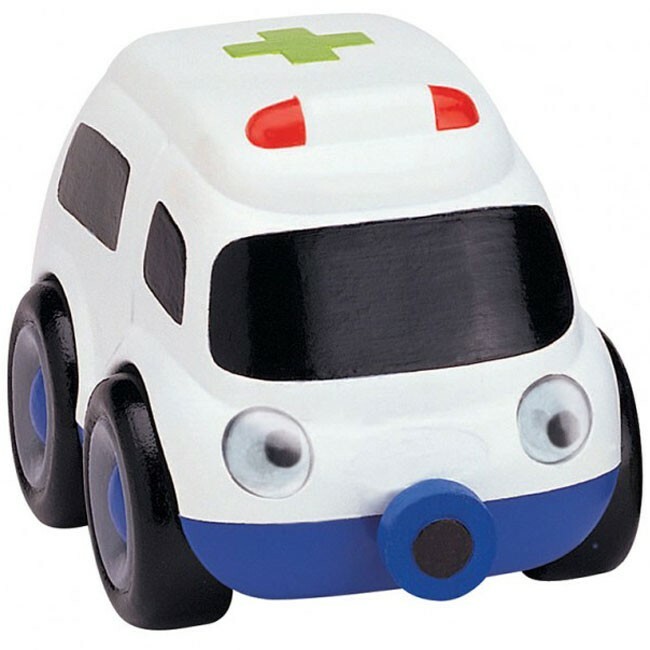 These play vehicles are ready to save lives, put down fire, get to the accident scene, or any other pretend emergency in your play room. 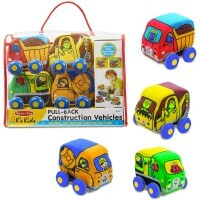 This Rescue Vehicles Tailgate Trio Playset is a great toddler toy to learn rescue occupation and have hours of exciting pretend play. 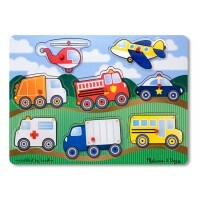 Dimensions of package 8" x 3" x 8"
Write your own review of Rescue Vehicles Tailgate Trio Playset.